The foundations of the history of our Bible College go back to Bob Evans who was born in French-speaking Africa to a missionary family. He served as a preacher in the army while he was in France in 1944 and was impressed by the great spiritual need that existed there. After completing his army service, he returned to his homeland and helped found Youth For Christ, International. One of the programs he organized was an evangelistic campaign to Europe in 1947 and 1948. During this campaign, his conviction was that he should return and help the churches of Europe in the area of theological training. In 1949 the Evans family returned to Paris and began to offer biblical classes in their home. In 1952 Evans founded the Institut Biblique Européen. Later on, other Christian workers with a similar vision for Germany joined together with the workers of France and founded a Bible School in Germany. In time, Bible Schools opened in Italy, Sweden, Spain and Portugal. Meanwhile other schools which were already operating in England and Belgium became members of the family of European Bible Schools. For many years, Christians from various countries were struggling to establish a sustainable interdenominational center for biblical education in Greece. While this vision was initially in the heart of only a few people, gradually more were inspired to help. 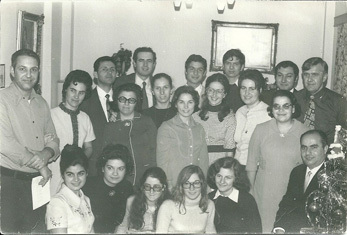 After much research and preparation the Society of Biblical Studies was established as a non-profit legal entity, according to the requirements 741-784 of the Civil Law, on the 20th of July 1971. 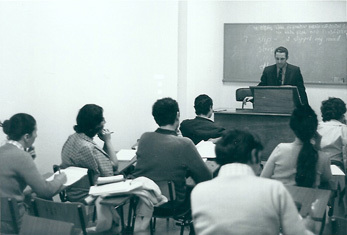 In the fall of 1973, evening classes began to take place in an office complex in the center of Athens. 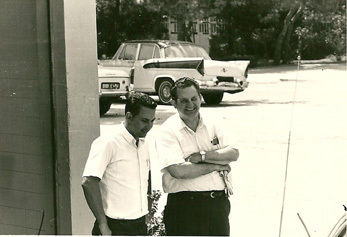 These evening classes continued for six years, and laid the foundations for establishing a permanent Greek program for biblical training for students resident on campus. 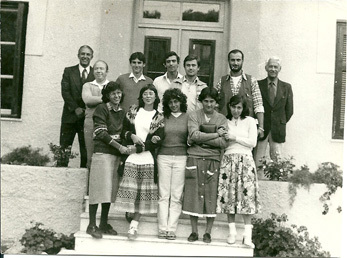 Therefore, in 1980, a permanent two-year training program with eleven resident students began at Kastri. In 1985 a third year was added to the course, and in 1990 a separate one-year program was also added. In the summer of 1995 the college moved to a new purpose-built campus in Pikermi, Attiki. Following that, a fourth year was added to the program, set-up in cooperation with Liberty University, through which the Bachelor of Science (B.Sc.) degree was offered. In 2004, the Greek Bible College was recognized by the European Evangelical Accreditation Association (EEAA), allowing it to offer a Certificate comparable to the Bachelor of Theology (B.Th) degree. This accreditation allows our college’s classes to be recognized by other comparable institutions in Europe and worldwide. In July of 2009 the school received permission from the Ministry of Education to establish itself as a college. In October 2009 we received a permit to function. This, unfortunately, was immediately withdrawn when a new government took office, as was the case for all private colleges. However, in September of 2010 the Operation License as a Center for Post-Lyceum Studies (College) was again given, and in June 2010 the co-operation of the Greek Bible College with Liberty University was renewed and received recognition by the Ministry of Education.